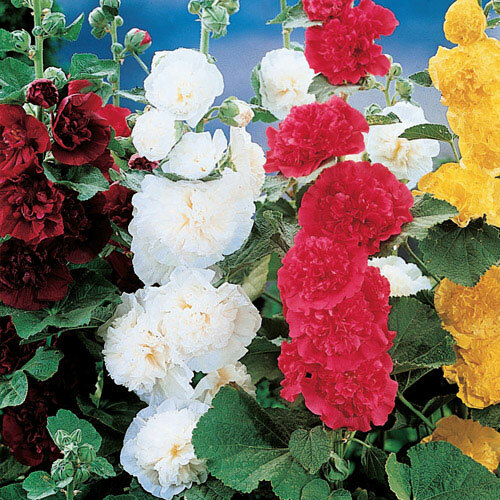 Tall, sturdy Double Hollyhocks are prized for their kingly height and their showy, ruffled, carnation-like blooms. Ideal against a building, fence or wall, these old-fashioned favorites produce an explosion of colorful flowers. Excellent for cut-flower bouquets, too! Foliage Type5-7 lobed, large rounded, dull green leaves. Flower FormCrepe- textured double flowers borne singly on tall stalks. 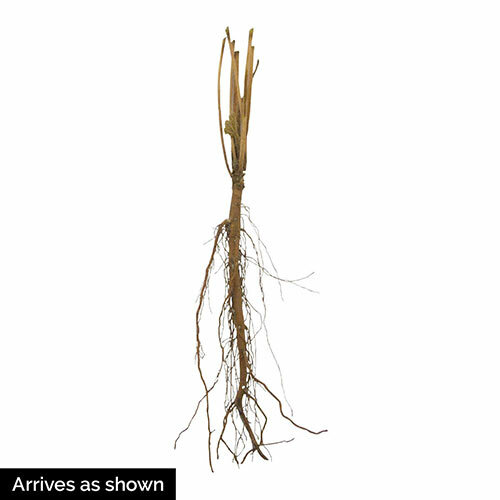 Soil RequirementsRich, moist, well-drained soil. Additional InformationWatch for Japanese Beetles in summer months. Hollyhocks can be planted under Black Walnut trees.